When choosing wheels for your vehicle, you need to decide if you want form or function. However, the Black Rhino Alpine Wheel in Gloss Black with Milled Spokes allow you to set your Jeep apart form the rest, without sacrificing durability. These rugged, yet lightweight, aluminum alloy wheels were engineered to tackle even the toughest environments without failure. 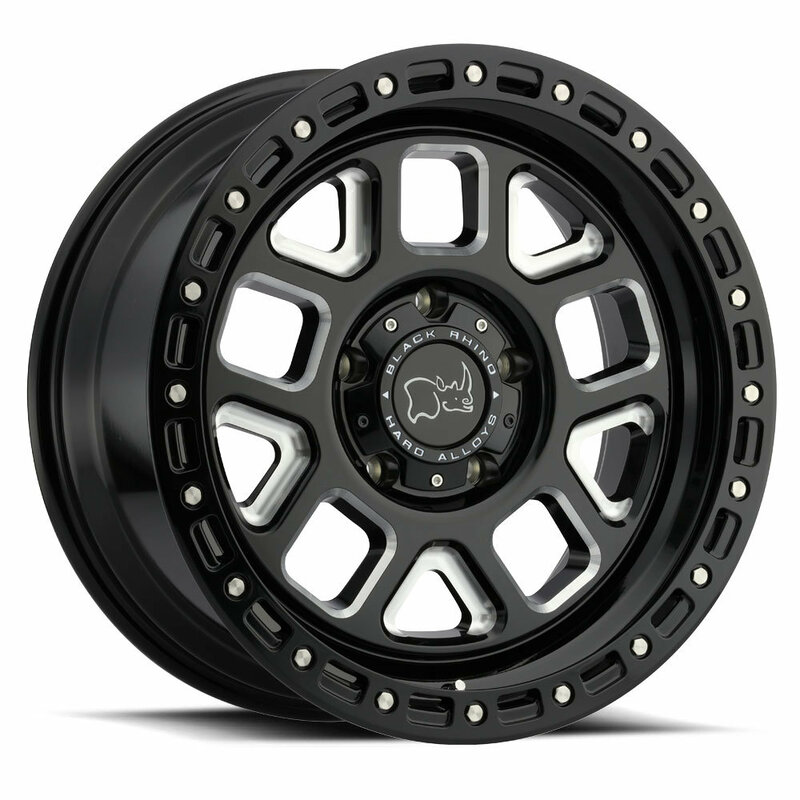 Black Rhino’s Alpine Wheels feature a Gloss Black paint scheme, and CNC milled accents for contrast. The heavy-duty simulated beadlock ring doubles as a valve stem guard, so you do not need to worry about knocking off your valve stem on the trail. Alpine Wheels are available in 17x9.5, 18x9.5, and 20x9.5 sizes, and are backed by Black Rhino’s 5 Year Structural Warranty / 2 Year Finish Warranty. 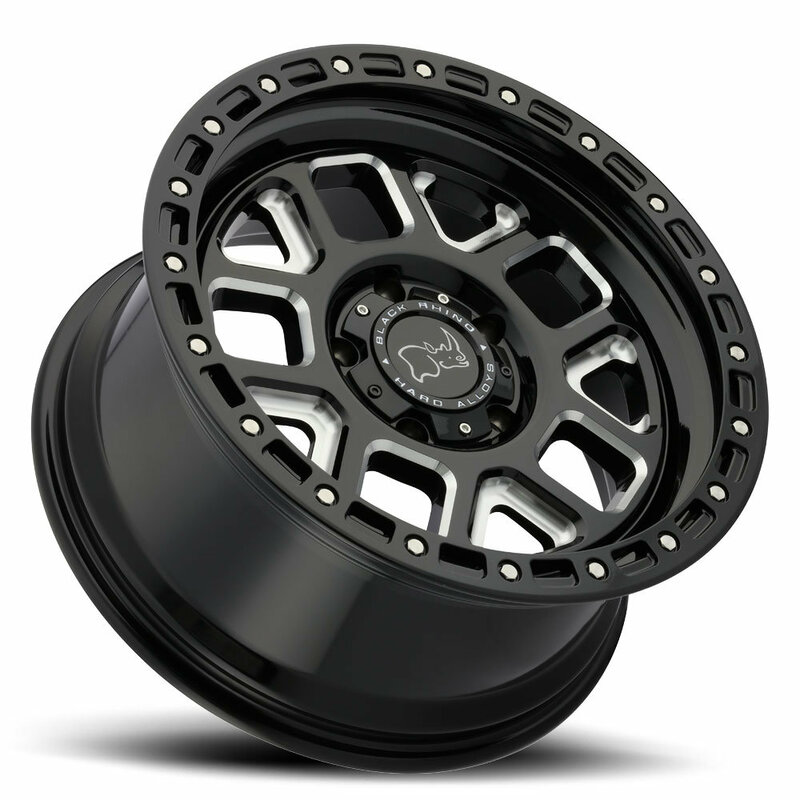 Two-Tone Finish: Alpine Wheels features an attractive Gloss Black paint with CNC milled accents. For additional contrast, the simulated beadlock ring also has silver hex bolt heads. 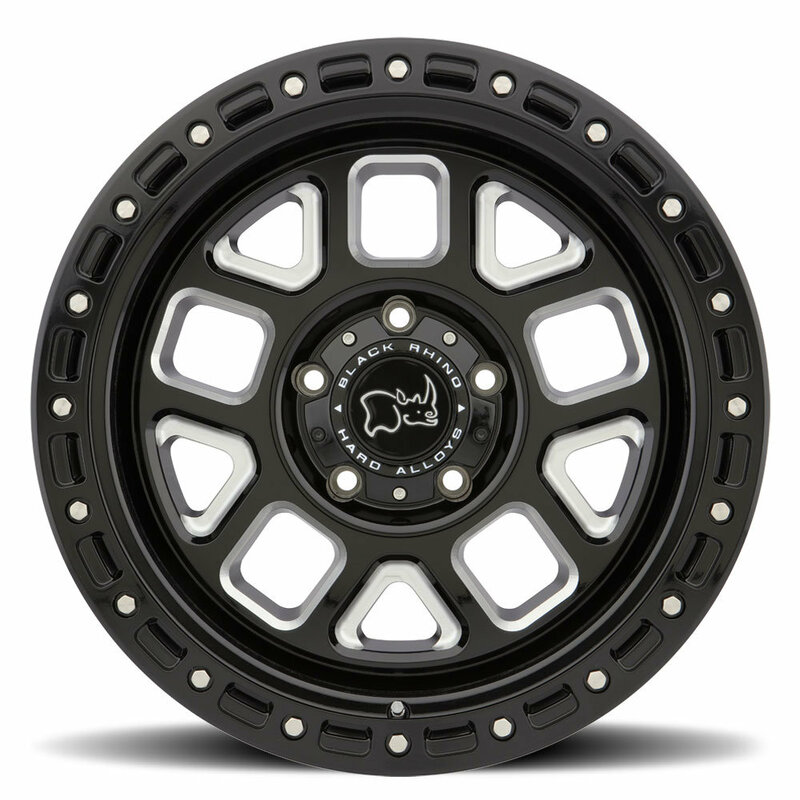 Heavy Duty Design: Black Rhino uses high strength and light weight aluminum alloys for their wheels. The valve stem is protected by the simulated beadlock ring. Center Cap: Each wheel includes a bolt on Black Rhino logo center cap.